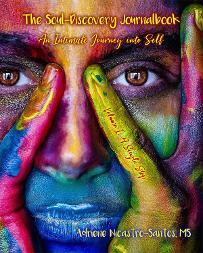 A psycho-spiritual journey in peace, vitality, resilience, and faith. Nautilus Book Award Winner 2018!! 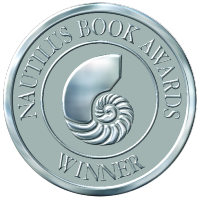 With great gratitude, I announce that The Soul-Discovery Journalbook series has won the 2018 Nautilus Book Award in Silver for Personal Growth and Self Help (Independent or Small Press Publishing)!!! You can purchase The Soul-Discovery Journalbook series or individual volumes through the Place-My-Order button which will redirect you to a page on this site or through Amazon.com by clicking the button below. Like the ginkgo leaf that symbolizes vitality, resilience, peace, and faith, we grow through these four aspects, which are the very fiber of our being. As Spirit living an earth adventure, we can transform our challenges through personal journeys of faith, love, perseverance, and dedication, ultimately cultivating a lasting peace. Every life experience presents opportunities for metamorphosis, as we accept and release the parts of our personality that no longer serve us. Receiving and giving love without fear, releasing our anger, sadness, and contempt, thinking with centeredness, and appreciating the journey of this life to graciously accept all of our lessons as gifts - this is the deep integration process of psycho-spiritual healing. Adriene holds intuitively guided psycho-spiritual therapy, counseling, and healingsessions in order to assist individuals in healing traumas, removing blockages, gaining a greater understanding of life lessons, and clarifying belief systems and their origins. With each session as individual as the person, she navigates clients through their archaeology so they may heal the unconscious forces in their personality while grounding sessions in spiritual teachings. All pages in this siteare subject to copyright.